Rajma Chawal is a delicious main course recipe It contain great quality of carbohydrates and protein that can suit your taste. This famous Punjabi food is loved by peoples of all age groups. Rajma Chawal is ideal for a Sunday brunch or on a social gathering with family and friends. 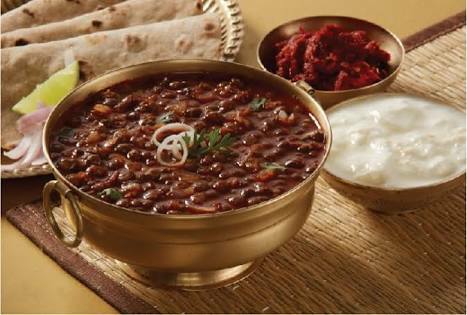 It is cooked by using ingredients like rajma (kidney beans) rice, onions, tomatoes and melange of flavors. So, go ahead and experiment with this recipe and relish it with your near and dear ones. Rajma Masala – a protein rich Red Kidney Beans curry, is best enjoyed with steamed rice as Rajma Chawal and is one of most healthiest, least demanding and easiest to make Punjabi curry. This least number of ingredients make it simple to make at home and doesn't require you to have any special cooking skills and spares you from long planning time as it is made with very basic spices that are easily available in any Indian kitchen. Wash the rajma and allow it to absorb water overnight. Wash it again and pressure cook with 3 cups of water, salt and turmeric. Once the rajma is soft and squishy remove it from flame and keep it aside. Finely chop the onions and keep aside, after that grate the tomatoes and keep them aside. Now, make a fine paste of garlic, ginger and green chillies. Now, take a deep bottom pan, add oil, when it gets heated add green cardamom, black cardamom, cinnamon, clove, peppercorn. When they get fragrant, add onions and cook till they are golden brown colored. Now, add the grated tomatoes and cook on high for 4-5 minutes. Add ginger-garlic-chilly paste, cumin powder, coriander powder and black pepper powder. Cook for 2-3 minutes till the spices become fragrant and oil starts leaving the sides of the pan. Now add the rajma and 1 cup of water. Mix well and cook covered for 10 minutes. When done, add the ghee. You can garnish with coriander leaves. Your rajma is ready. Now, to make a steamed rice, boil 1 cup rice with 5 cups of water. When the rice is soft, strain and dispose the water. Spread the rice on a plate and allow it to air for 4-5 minutes.